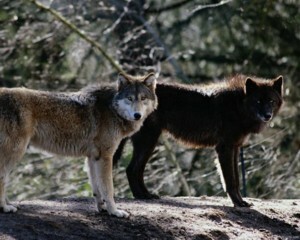 The purpose of WOLVES (Wolfology.com) is simple: To provide information. My hope is that those who are serious about wolf recovery will find this site a valuable source of information. Just because there are now a few small wolf populations scattered throughout the United States doesn't mean the battles are over, or the war won. As the federal government edges closer to delisting the wolf, those populations will face multiplying dangers. We must make sure that the next generation carries on with wolf recovery. And the best way to do that is through education. All original material copyright © 2003-2005, Jason Manning & Wolfology.com. All rights reserved. All other material: Rights reserved to the original copyright-holders. Fair Use Notice: This web site contains some copyrighted material the use of which has not been specifically authorized by all of the copyright owners. This non profit use on the Web constitutes a fair use of the copyrighted material as provided for in section 107 of the US Copyright Law. Media contained within is for general informational and personal use purposes only. Defenders of Wildlife and distributed twice monthly. To subscribe, click on the image, above. Search/Index provides a site search feature (updated every two weeks) as well as a three-month index of all added material for those who want to see what's been added to WOLVES since their last visit. News Clippings collects wolf-related news culled from a daily search of AP, UPI, Reuters, Yahoo News and other sources. New additions are noted in the Index. Wolf Wars: Reports from the Front Lines provides complete-text newspaper articles relevant to the political, social and economic aspects of wolf recovery. Resources contains abridged articles from news sources and scholarly journals on (A) wolf ecology and behavior, (B) wolf history, (C) wolf recovery in the U.S., and (D) wolf recovery elsewhere in the world. All new additions are recorded in the Index. Online Resources includes external links to over 40 articles and documents already published elsewhere on the Web. 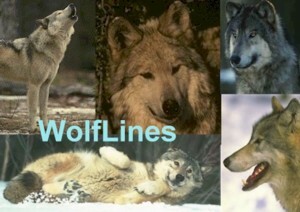 100 Wolf Facts is the Wolfology.com version of FAQs, with basic information on wolves. The Kids' Page is an introduction to wolves for children, and includes several activities, including a word hunt and crossword puzzle. More About Wolves is a collection of essays by the webmaster on various wolf-related subjects. Essays from others are not only welcome, but encouraged. A Wolf Chronology is John A. Murray's work, with post-1992 entries made by the webmaster. Wolf Populations consists of several tables on populations around the world, kept as up-to-date as possible. Wolves--A Bibliography, a work in progress, is intended to be a comprehensive bibliography of wolf-related articles & essays. The Messageboard is open to all who want to discuss wolf-related matters.